There are no future SI shows currently scheduled at this time. If you'd like to hire Serious Introspection for your wedding, party, bar mitzvah, corporate event or other occasion, please contact us via SI Services. Thanks againt to the IHME organisers and the guests! Thanks again to everyone at Mad House - those on stage, Juha Valkeapää, and everyone else - and to Kimmo Modig who launched this enterpise in the first place. We'll be back for Mad House's third season, beginning in February, and we'll post more details as we know them. In the meantime, we are available to be hired for parties, bar mitzvahs and other events via the SI Services enterprise, and you can check out our new standalone website for Serious Introspection here. Next Tuesday we have Ernest as guest, as well as Matthew Goulish, from Every House Has a Door! It will fulfill our dream of an all-male, all-North American stage show (just kidding) and as always, it's free and starts at 18:00. The evening is combined with Justin and Ernest's Psycho-Geographic Bingo game, which starts after our show. with John W. Fail was a live show in Helsinki, Finland from 2015-2016. We tried our best to entertain. 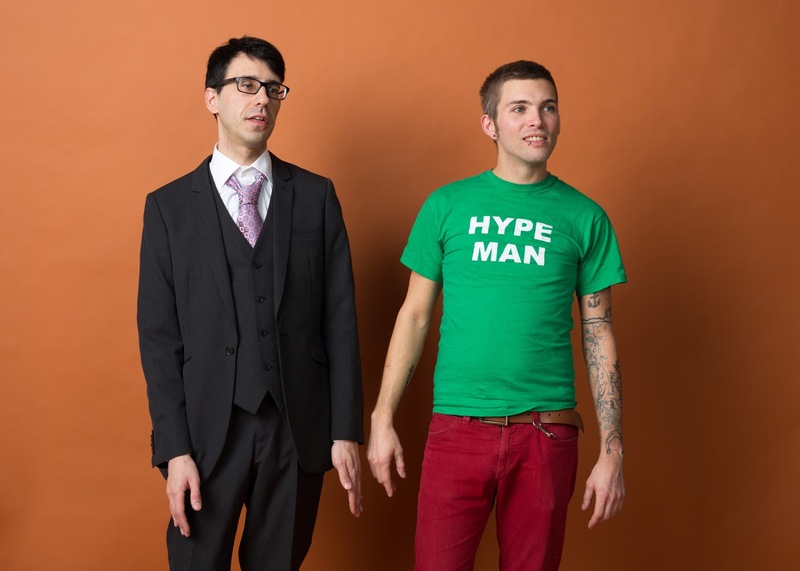 Each week, John along with hype man Justin Tyler Tate, interviewed people about their creative process and tried to deliver a direct, communicative experience about art and performance. The show took place at Mad House Helsinki's Ihana Baari, and was free to attend. You know, we did eight shows in the first season and it was pretty time-consuming, but we were excited to come back for more in 2016. We've made videos available from all episodes of the show here for you to watch. The show is indefinitely on hiatus as Justin moved away and other projects took over. We also will occasionally post audio podcasts when we get the time to go more in-depth with people, outside of the public show. The videos aren't always perfect and the audio even less so, but we hope you still enjoy them. But wait, there's more! The for-profit arm of Serious Introspection is called SI Services and we're up for anything, really! We are still available to be booked for parties, wedding, bar mitzvahs and other events. We will come to your event and offer our services for hosting, hyping and media specialisation (live tweeting) for a variable fee. If you'd like to find out more about Serious Introspection, you can start by watching these episodes and seeing if it's your cup of tea. The hashtag #SeriousIntrospection contains the running stream of live tweets from our media specialist Ernest Truely (and anyone else who might contribute). We have made the show available as a podcast via iTunes and Stitcher. We have a Facebook page which we use to post info about the upcoming shows and videos as they are released. So yeah, that's it, pretty much. We're trying to keep this page simple, if for no other reason than our cup runneth over with websites already. We will announce future events and SI-related matters here so feel free to check back any time.